What’s Exciting About the 2018 Jaguar XE Technology? Jaguar technology has been sought after for many years, and while it has been impressing Arnold drivers on current models, future Jaguar models will continue to make jaws drop. In fact, the 2018 Jaguar XE technology delivers an impressive amount of features that will enhance your driving experience and make you feel more connected to the road. Explore more about this new model’s technology below. Jaguar technology will always continue to impress and excited Baltimore drivers, and the 2018 Jaguar XE is no exception. With a vast amount of features through the Jaguar InControl platform, you can receive all the entertainment, information, and connectivity you need for an enjoyable driving experience. In addition, the Head-Up Display keeps you safe, while the Meridian sound system delivers entertainment. 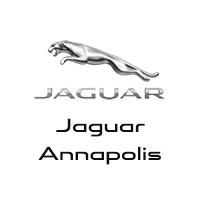 Visit Jaguar Annapolis to learn more about the new Jaguar models. Our dealership is located at 101 Ferguson Road in Annapolis, MD, or contact us at (410) 904-3107 to learn more about our vehicle financing.